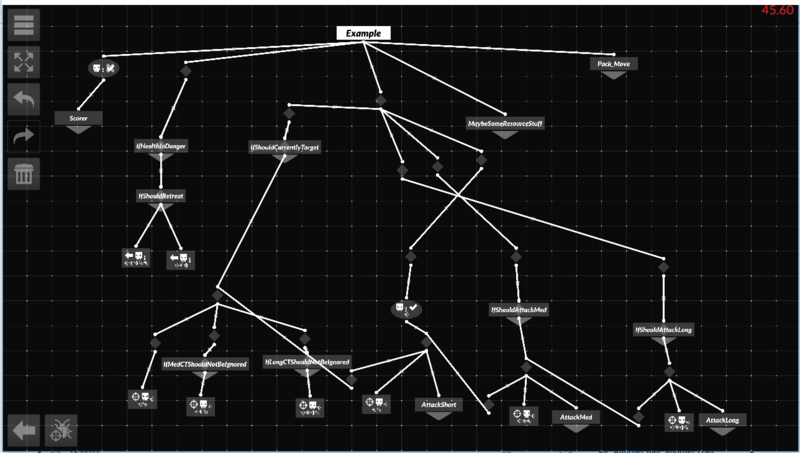 I decide that I'd reveal the AIs I've made, but more importantly, I decide I'll also reveal part of the structure that the AIs are built on and the reasons why the structure was created. So, to keep things simple, I decided to create an image showcasing the AI structure first with name in general saying what they are. Scorer is basically what you expect. It is just "score with a resource, then grab, then do some moving around when there is nothing to grab so that I end up dancing." 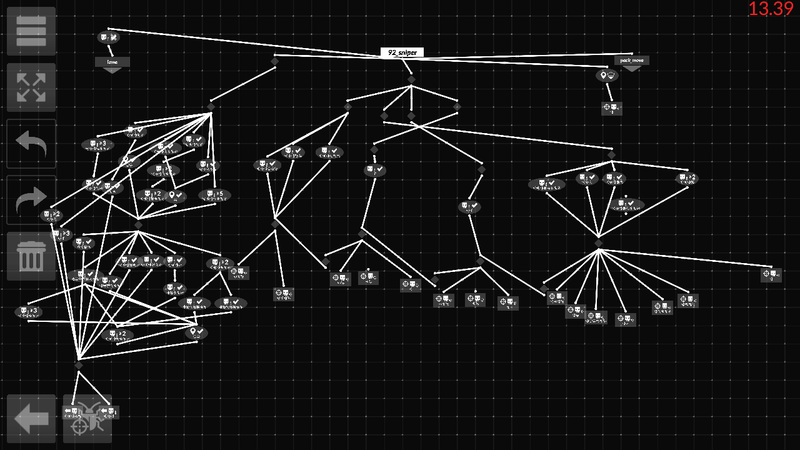 I know for a fact it is 6 nodes long, but only 3 (arguably 2) of the nodes are meaningful. On my main account, this subtree is called "lame"
I do not put attacking nodes anywhere besides "AttackShort", "AttackMed", or "AttackLong". 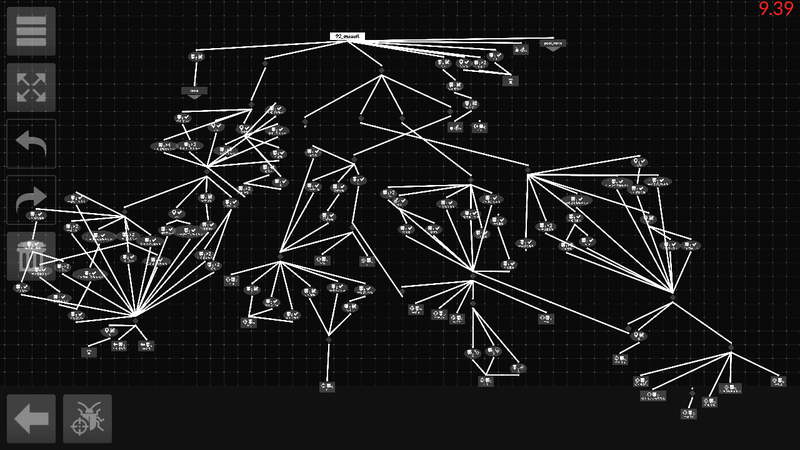 I do not put any other fleeing nodes besides the ones in that picture. 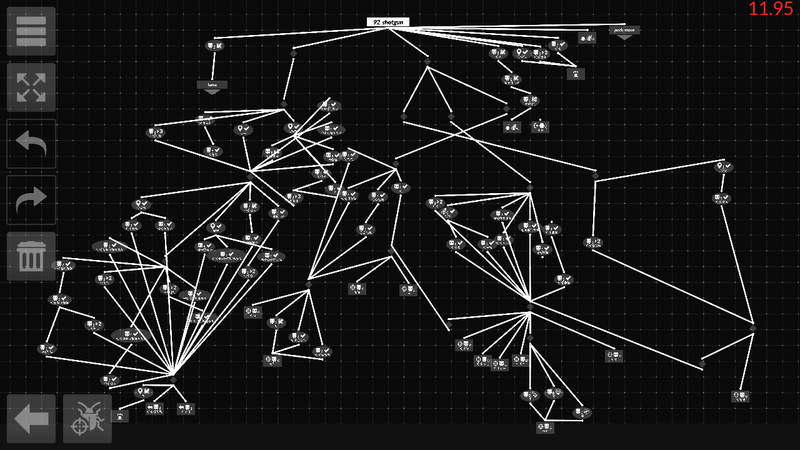 I do not put in any additional move nodes besides "Pack_move". One of the biggest reasons behind this is to avoid problems in my AIs from one section of the AI disagreeing with another and making sure that if the AI really is in danger it should flee no matter what. However, this does sometimes lead to some hard to deal with problems such as my AIs retreating too often or attacking in long range too long. Currently, I'd wager that Mind Game is probably the most crucial map for my AIs to adjust to and that players like Chris and Miojo some of the hardest to deal with. The difference between "If Health In Danger" and "If Should Retreat" is that the former is involved with deciding whether or not a situation that would put my AIs at a disadvantage will cut into my health, while the latter determines if my AIs are at a disadvantage that is worthwhile for a flee.